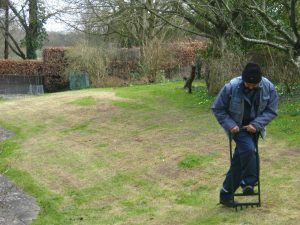 This is Tim in the process of scarifying a moss and weed infested lawn, removing both, then aerating before levelling and reseeding where needed. For a little while the lawn looks awful, but within a short space of time it will look the lush green that it deserves to be. Seeing as this is my garden I feel I should comment! 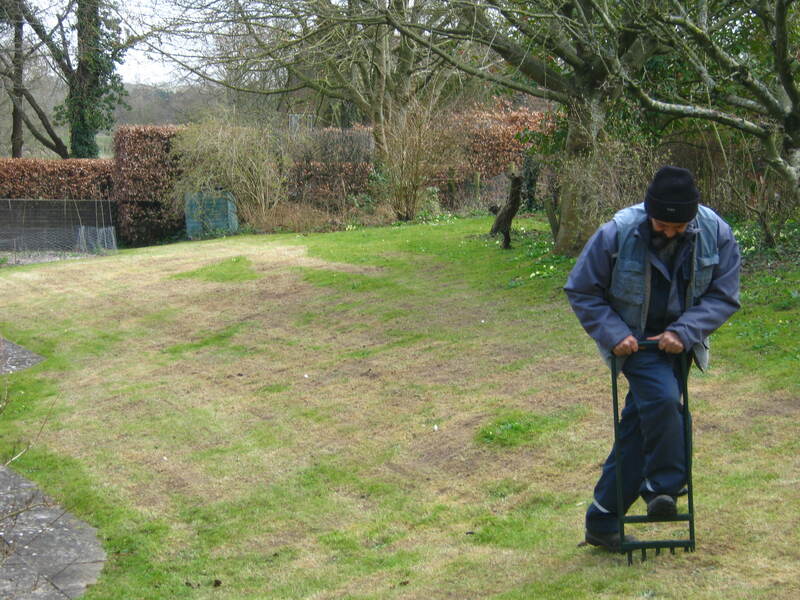 After years of ‘gently mentioning’ how much the moss area needed scarifying, we finally gave in. We now have a lawn-brilliant! Just do it, Tim does know what he’s doing!you need an ‘after’ picture now mate!